Show Your True Self with a Character Selfie! With several trillion photos now in circulation, what do all the endless selfies, profane profile pics, and pathetic Face Swaps really say about our identities? 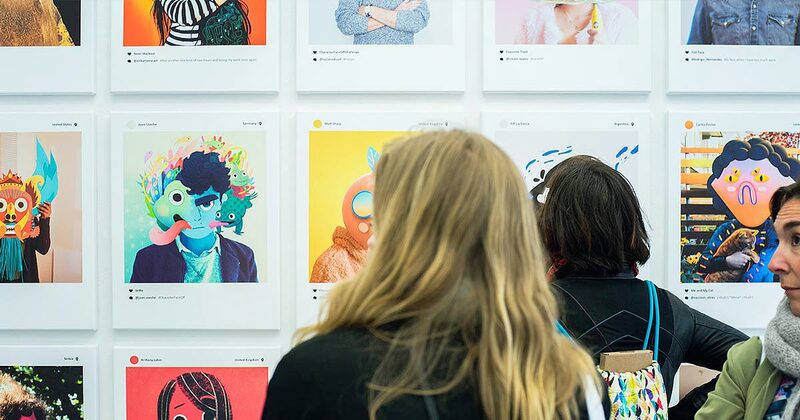 In an open call for entries, Pictoplasma challenged young, emerging artists AGED 18-24 to truly express their personality with a self-portrait that lets their real character shine. From all entries five selected winners will be awarded with a full Pictoplasma Character Design fellowship: Supported by Project 1324, the fellowship covers fees and travel costs to attend the Pictoplasma Academy Mexico City in October 2017, six months of ongoing, personal online mentorship, and a ticket and travel costs to attend the Pictoplasma Berlin Conference in May 2018—including the opportunity to exhibit in a group show! Deadline for submission was on August 16th, 2017 (8:59 AM CET). The five Pictoplasma Character Design Fellows will be announced September 5, 2017.